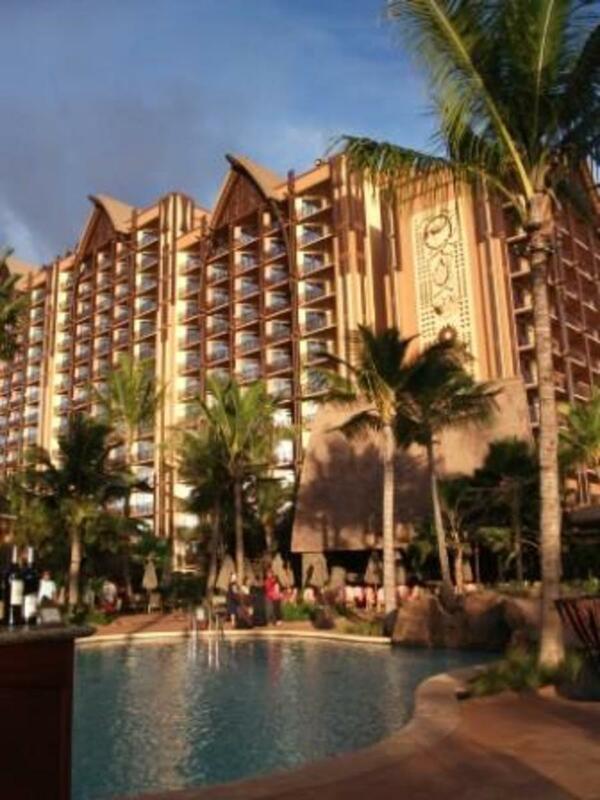 We head off to Aulani, the most talked about Disney resort in years, on the Hawaiian Island of Oahu to see just how family friendly one vacation can get. 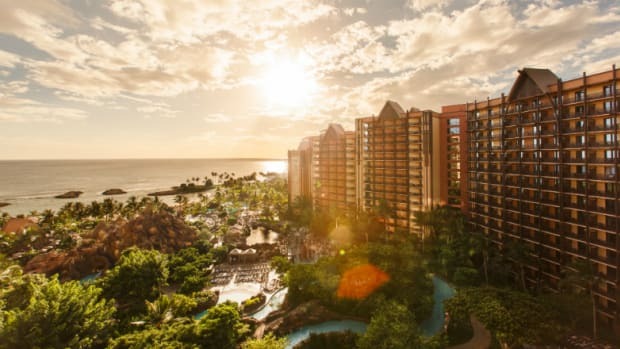 I&apos;ll admit, when I heard about Disney&apos;s new Aulani Resort and Spa on the island of Oahu in Hawaii I didn&apos;t know what to expect, and I didn&apos;t expect much (I&apos;m a jaded traveler--I don&apos;t write The Jet Set for nothing!) What happened? I called my husband and told him that we had to figure out a way to come back to Aulani with all our kids as soon as possible. Aulani is amazing--and it&apos;s Hawaiian. I know, you&apos;re saying, it&apos;s in Hawaii, why wouldn&apos;t it be Hawaiian? It&apos;s more than just that, it&apos;s that Disney took Hawaii seriously: the culture, heritage, the respect for the land and sea, and family. No wonder it took five years to build the resort. 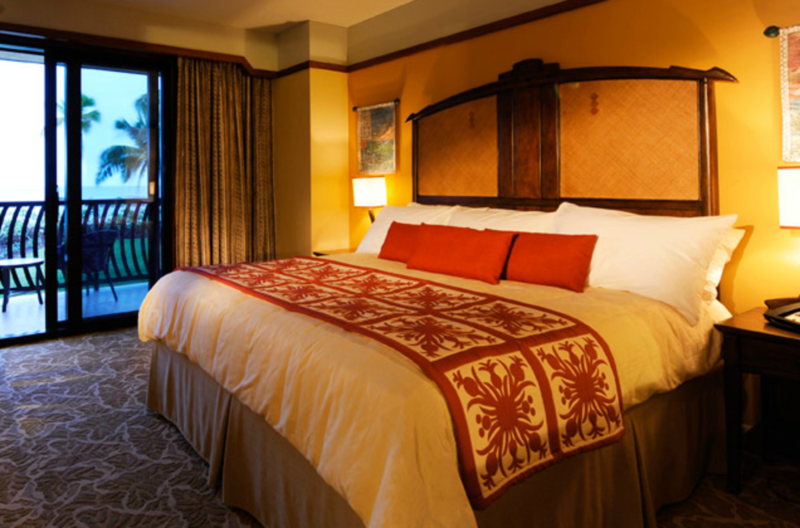 Aulani tells the story of Hawaiian culture. From the entrance and lobby, which represent the Hawaiian mountains, to the central Waikolohe Valley that features pools, lazy river, a shaved ice stand, and the coolest splashpad for your little ones, to the open vistas down to the lagoon and sea. 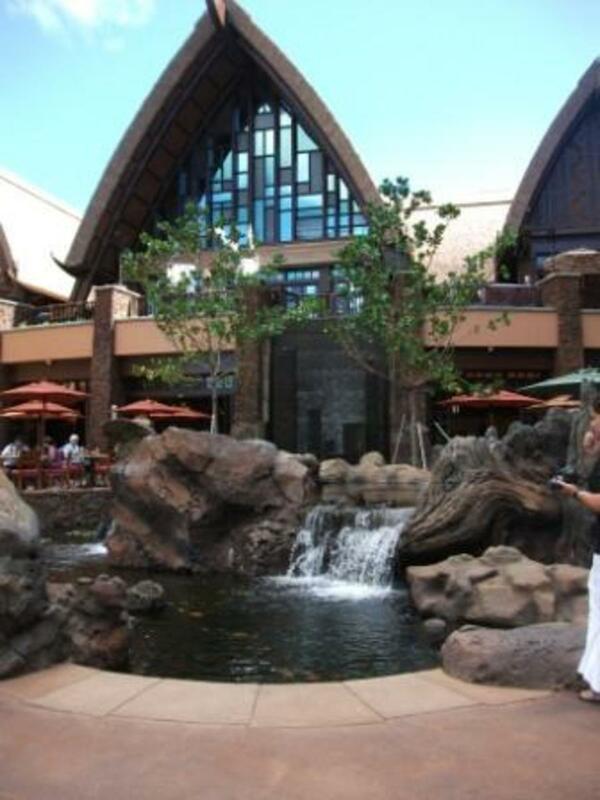 The towers are built in a traditional Hawaiian architectural style. None of Aulani is cartoony or silly. 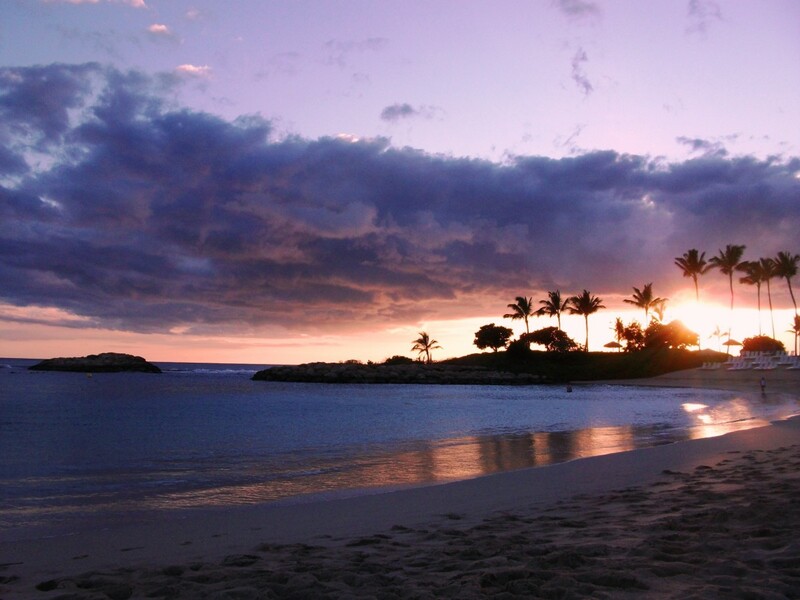 In fact, the resort is home to one of the most extensive native contemporary Hawaiian art collections anywhere. I could sense the reverence and reveled in the thoughtful details. The tropical breeze filled the open air lobby and played under the vaulted, cane ceiling. The ponds in the entrance ran gently to a waterfall overlooking the valley filled with water fun and lounging, and to frame it all, the Pacific Ocean. 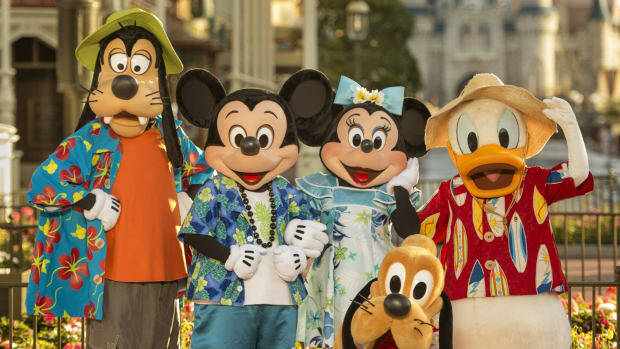 When it comes right down to it, Aulani is a resort for families. No one batted an eye when I had my 3-month-old baby in tow everywhere I went. 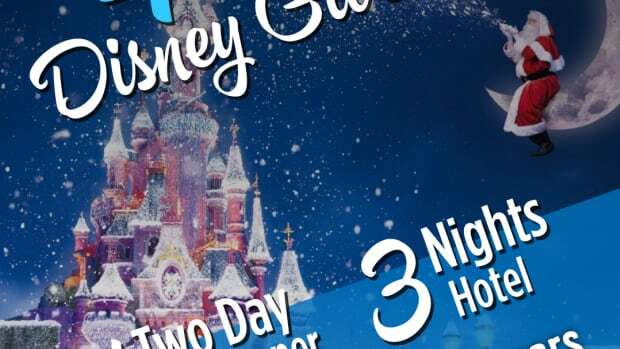 I watched other children having a magical time with a cheerful staff and happy, accommodated parents. The rooms have full kitchens with full sized appliances including a microwave. I love that a family could keep a budget on vacation by preparing meals inside the room, splurging with a visit to one of the on-site restaurants. Our room had a banquette (I love a banquette!) The doors and hallways are wide, not cramped. The bathrooms are large, with separate toilet and shower rooms. Two clothes lines in the shower--one higher and one lower--to drip-dry your swimming suits. The sofa pulled out into what I swear is the most comfortable sleeping sofa ever. I nearly asked my friend to take the King bed in the bedroom so I could be on the sofa bed. Even the huge TV and shelving unit had a bed that folded out of the cabinetry. Yes, two flat-screen TVs: one in the living room and one in the bedroom. If you don&apos;t understand how important it is to have a TV on vacation I don&apos;t think we can be friends. Also important? WI-FI. Don&apos;t get me started on upscale hotels who chintz out on wi-fi. I booted up my laptop and immediately connected to the fast Aulani guest network, no stupid passwords, codes, or extra charges. What didn&apos;t I like? The microwave. It was one of those deals that keeps beeping until you open the door and I don&apos;t need that kind of pressure. Once you start thinking like a kid, Aulani is an entirely new world. The doors to the rooms have two peepholes, one at adult height and one at kid height. The lava rocks dotting the landscape have cutouts with shells, vignettes, and other surprises. The lazy river has "lava" spouts of water--and attentive life guards stationed every couple yards. Two water slides, a zero entry pool, a splashpad with a ton of playful water features, you could happily spent all day in the Waikolohe Valley. Like any Disney property there are lots of hidden Mickey Mouses (in the pineapple pattern on the bed coverlet, in the carpet pattern in the public areas, and on the lampshades.) 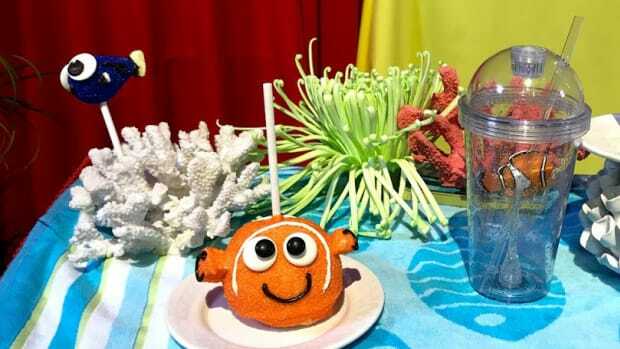 Couple these great amenities with the classic character breakfasts and the rainbow reef and you&apos;re looking at a kids&apos; paradise. 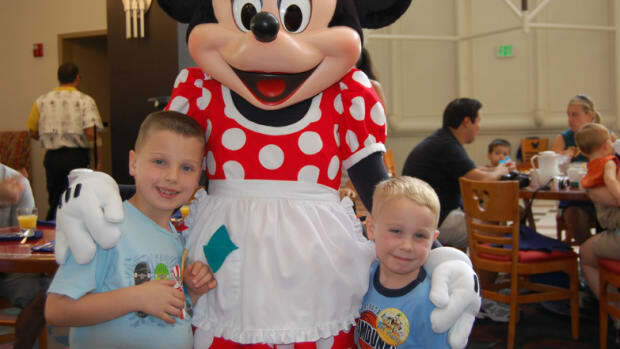 Can you spot the Mickey? 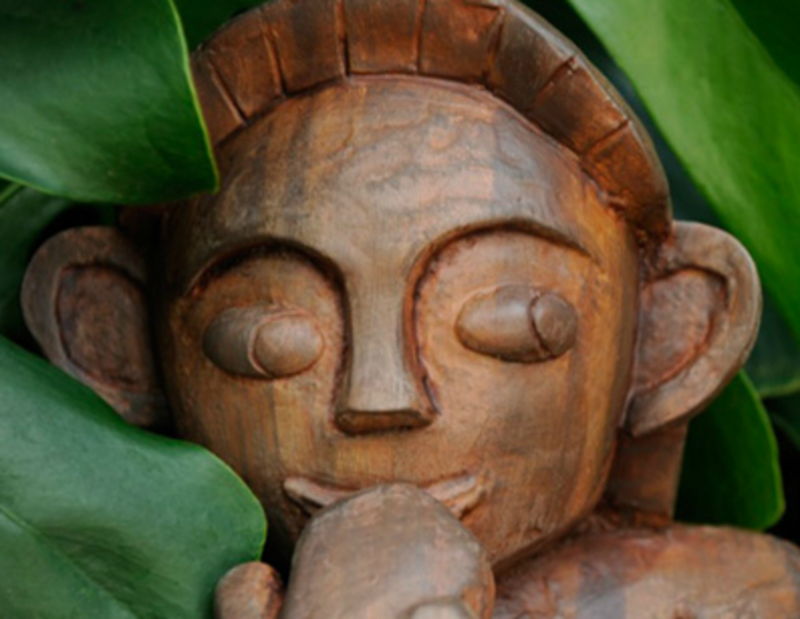 Aulani has Menehunes, little Hawaiian sprite figures that hide under paths, behind trees, inside elevators, and around the buildings. My kids would love to play spot the Menehune. Aunty&apos;s Beach House is just for kids. Parents can arrange a time to leave their kids (maybe to take surf lessons or for spa time?) or kids can just come in to do crafts and other activities in a safe and supervised location. I like that Aunty&apos;s Beach House is right outside &apos;Ama &apos;Ama, the nice restaurant on the property. Ditch the kids and eat your lobster in peace, I say. But you&apos;re not going to Hawaii to stay inside a hotel property, no matter how nice it is. 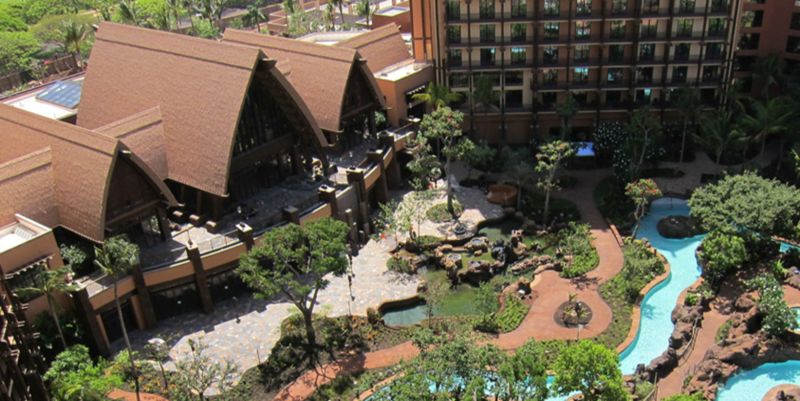 Aulani is built on a lagoon. You can see the breakers far out, past the lava rocks, but the waves that entered the lagoon were low and gentle. Part of me grumbled a bit that kids won&apos;t be knocked down by a huge breaker (after all, I had to learn that harsh lesson as a small kid! Kids are so soft these days! With their "sunscreen", "rash guards", and "gentle waves"!) but as a mom who has been with toddlers to a beach, I guess could live with a gentle sea. And oh, oh the sea. It was warm and perfect. I could have spent every minute floating in the lagoon. On the beach with the lapping waves tickling my toes and the sun descending, turning the sky orange, pink, and purple behind the swaying palm trees. What an Aulani day in paradise! 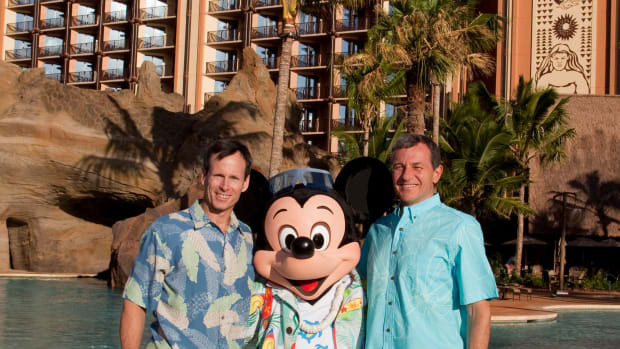 We have more Aulani details coming up this week including a visit to the spa, the restaurants, the activities, and interviews with Bob Iger, Disney CEO, and Tom Staggs, Chairman of Disney Parks. Aulani and Hawaiian Airlines brought me in to cover Disney&apos;s Aulani family resort&apos;s opening, but the forceful opinions, especially about the microwave, are my own. Just to keep it real at Today's Mama, I brought my three-month-old baby girl with me to an interview with President of Disney Parks and Resorts Tom Staggs and Disney CEO Bob Iger to chat about the new Aulani Hawaiian resort. 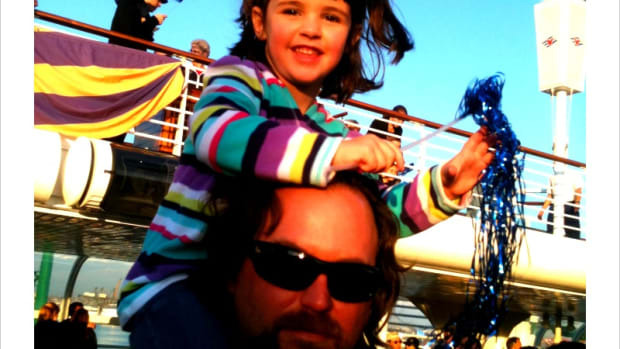 I wanted to share the activities and entertainment on the Disney Cruise, because GOOD GRACIOUS, there was a lot happening on that boat. 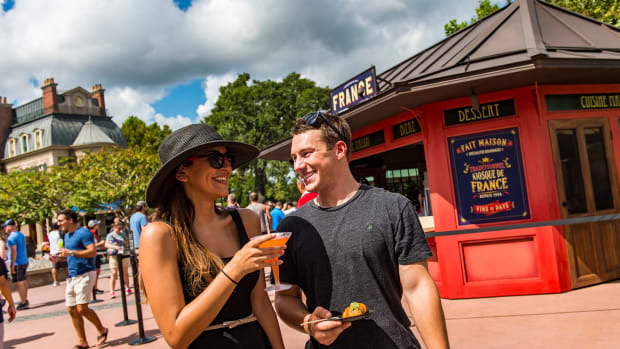 8 NEW Pixar Fest Foods at Disneyland You Can't Miss!